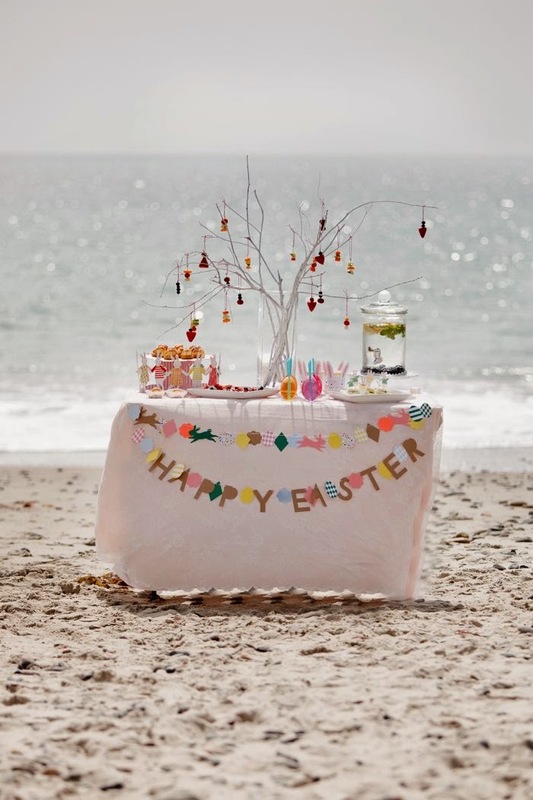 Everything Coastal....: Happy Easter Weekend at the Beach! 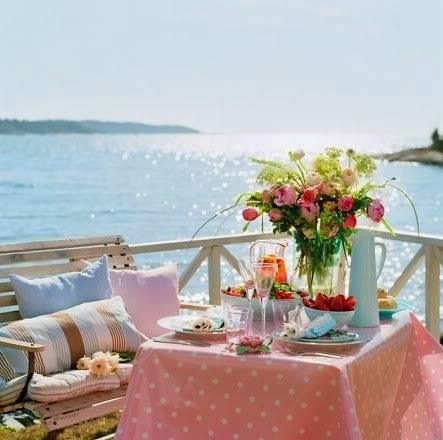 Happy Easter Weekend at the Beach! 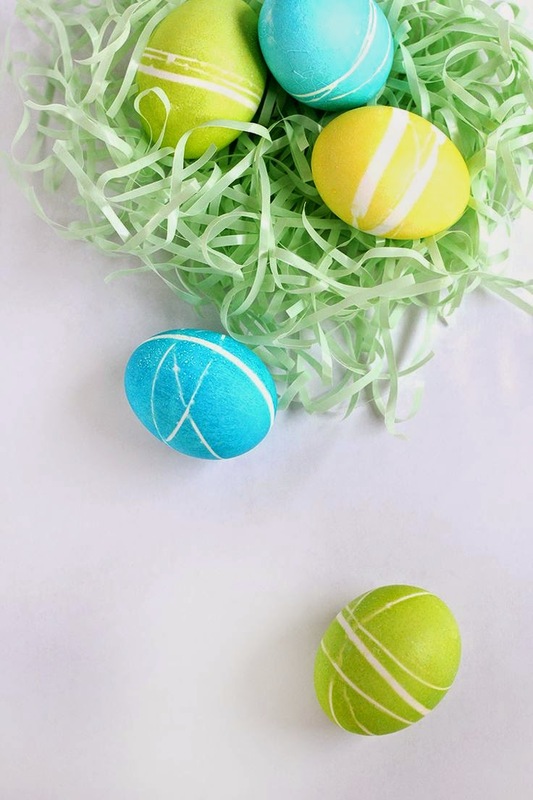 I might be about a week late to the party, but think there might still be time to try a few of these ideas for an Easter weekend treat. If any of you know me... I am not a great diy'er, (I just don't have the time or patience right now!) but even I could pull off a few of these ideas. 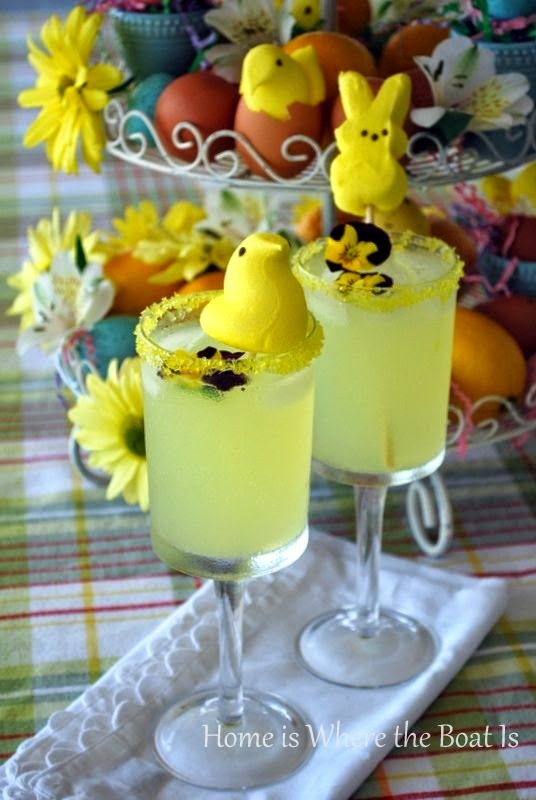 Peeps as cocktail "ornaments" - now this is an idea that I can definitely grasp! 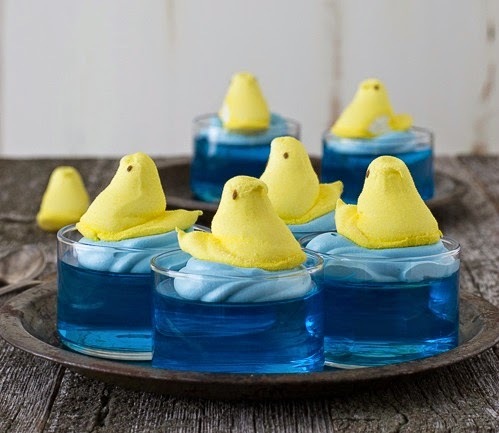 Bought blue bunny peeps, will post the images on Instagram if I can figure out how to make them look pretty. 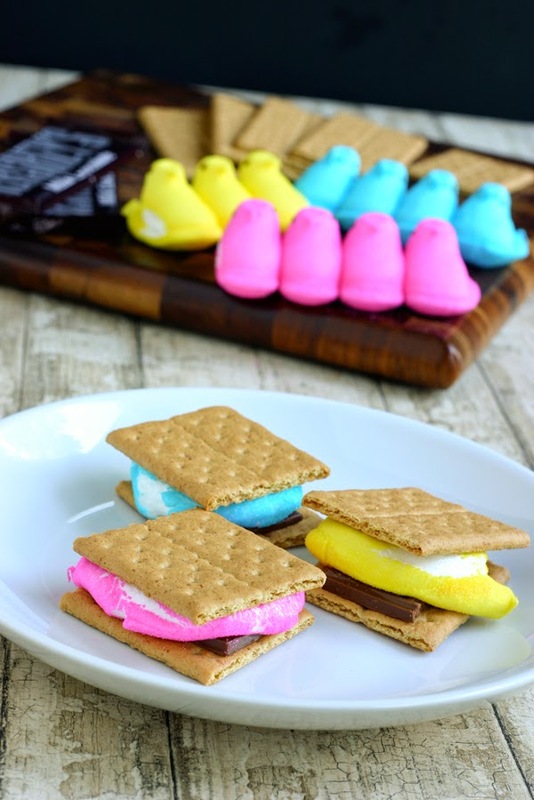 Idea and pics from HomeisWheretheBoatIs.com - she has a bunch of super cute ideas for peeps as garnishes. Must see her post! From TheFirstYearBlog.com - click for Beth's complete directions! 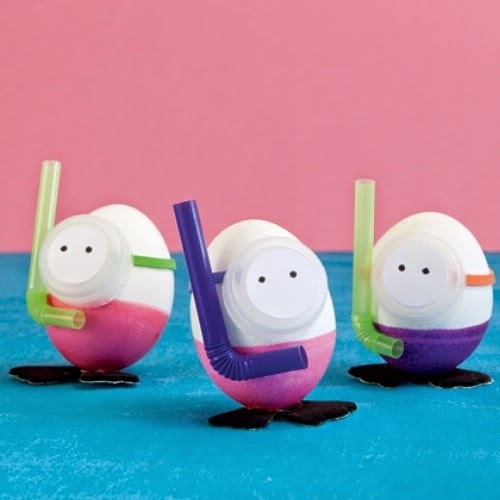 Diver Eggs - just made me smile! Super easy idea! 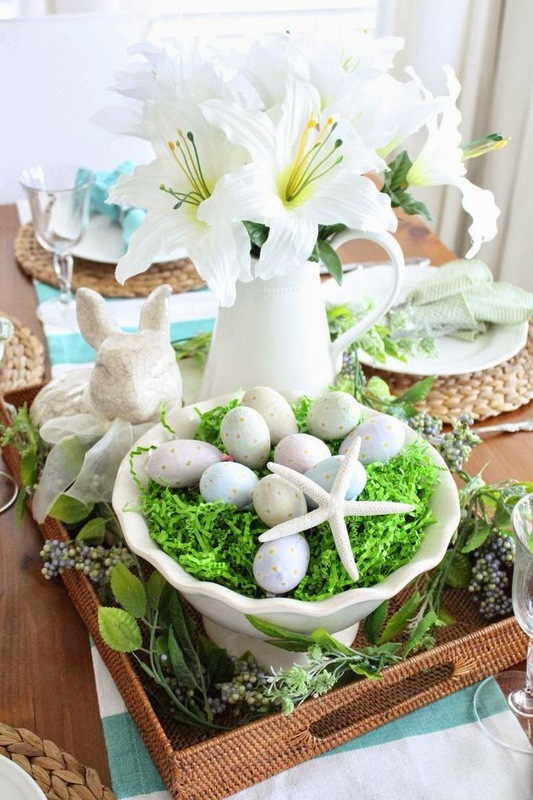 Add a few sea-themed items and dye the eggs in beachy colors. Idea and image from Freutcake.com - Click here for instructions! 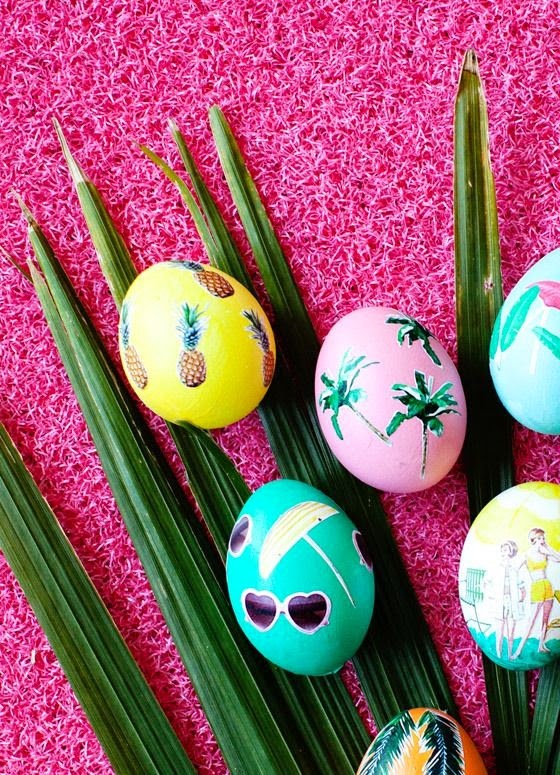 Love love love the retro tropical-beach decoupage images! 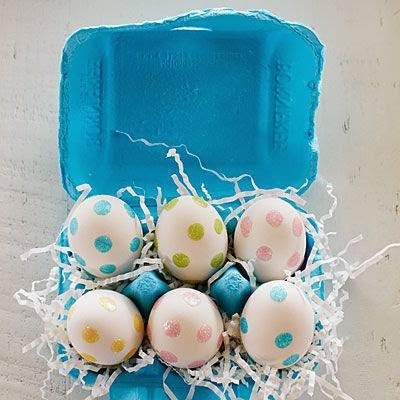 Way too cute, must see the whole blog for all of the directions and even printable images that you can use to create your own eggs. 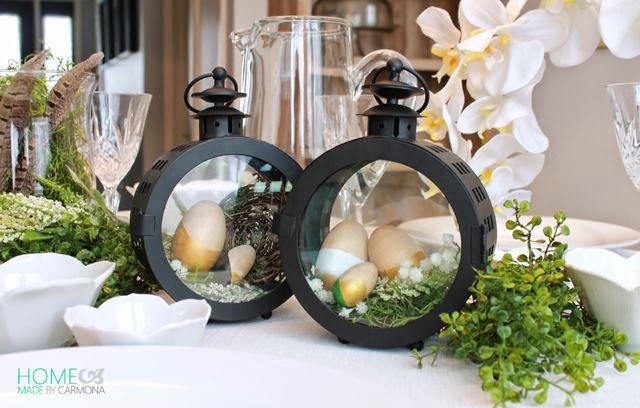 Hop on over to Melodrama Decor. 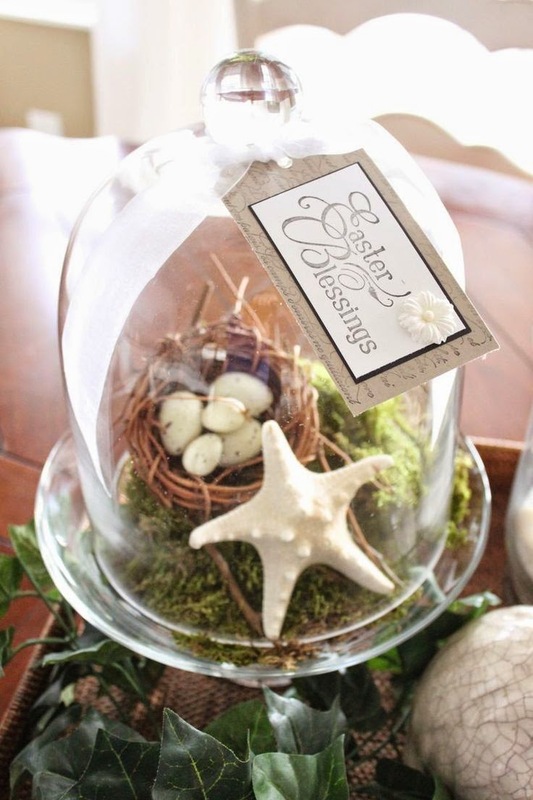 Cute sparkly polka dot eggs from our friends at Coastal Living Magazine! Styling by Julia Rutland, using spring colored glitter. Kristy is always up to something beautiful at Starfish Cottage! Love her dining room table this year - absolutely happy and gorgeous. 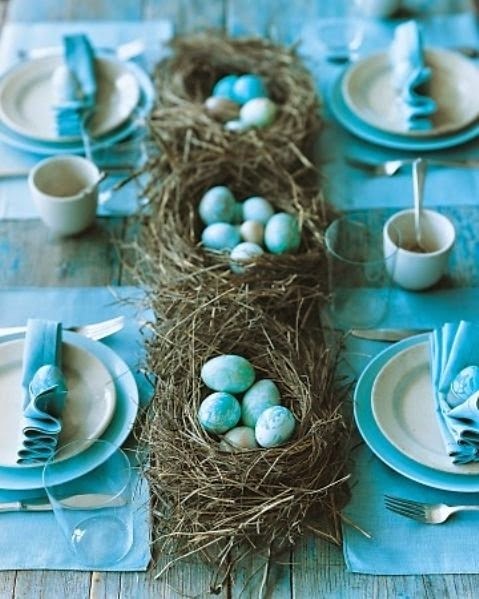 Such wonderful seaside colors - simple, elegant and perfect centerpiece for an Easter brunch party. Lovely seaside colors (and spring colors) of lime and aqua. 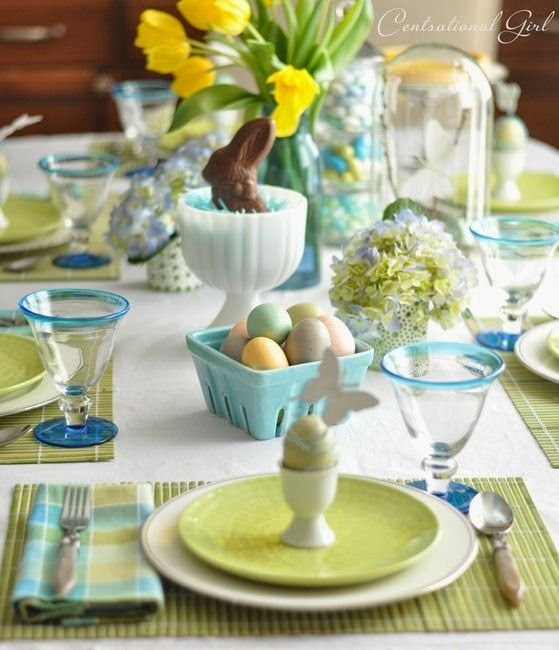 Pretty table scape from Centsational Girl!